Today, 13 children will be diagnosed with a brain tumor. Research is needed to give these kids the healthy, happy future they deserve. Since 2008, G105's Bob and the Showgram have rallied the local community for a cure. 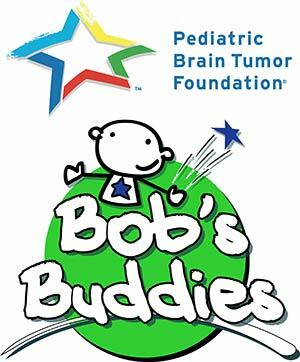 Through the annual Bob's Buddies Radiothon and many other community fundraisers, the Showgram and its hosts -- including brain tumor survivor Bob Dumas -- have raised nearly $2 million to help the Pediatric Brain Tumor Foundation fuel lifesaving research. Donate now to help cure the kids! Yes, automatically repeat this gift for the next 12 months. Recognition: I want to make this donation anonymously. What made you decide to make a donation today? Please contact your human resource department for eligibility criteria and application information. To send your gift by mail, please make your check payable to PBTF and send it to 302 Ridgefield Ct., Asheville, NC 28806. Contributions to the Pediatric Brain Tumor Foundation are tax-deductible to the extent permitted by law. If you have any questions about donating to us online, please send us an email or call us at 800-253-6530.